The 2016 has come to an end. There will be various businessmen or professionals who have faced problems while filing their tax returns this year. This is the time to understand what works and what creates confusion while preparing the tax returns. 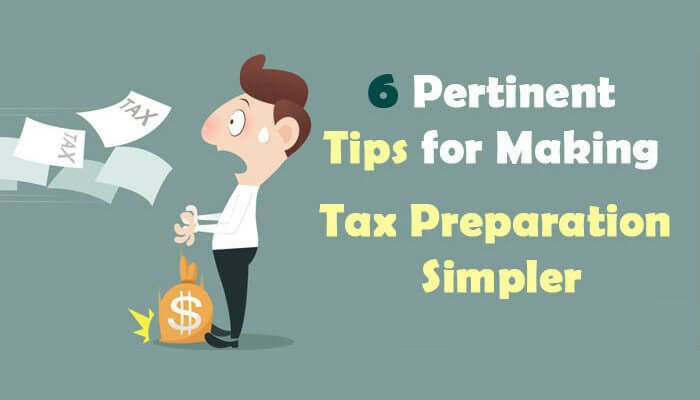 Planning well in advance will help in avoiding the tax penalties and undue distress while filing the tax returns for the tax season. There is always a chance of certain changes being made by the government with regards to the taxation regulations every year. So before chalking out a tax preparation plan for the upcoming year, you have to carefully study the new taxation guidelines passed by the government. While filing the tax returns, you will require various documents like accounts receivable, accounts payable etc. So you should start collecting those documents from the beginning and keep them together at a place so that at the time of filing the tax returns, they can be used easily and there are no undue complications. In case a business owner has to apply for forms related to loans or education then he should apply for them in advance. There is always a chance of the institutions taking time in allocating the forms. This would help in avoiding unnecessary last minute hiccups. In order to avail the various deductions and credits, you can use the high tax rates for the coming tax season. This task can be performed by the tax prepare or by the concerned person himself. In order to reduce the tax liability, all the possible deductions should be utilized. Reimbursed employee expenses related to travel, rental property, insurance, education etc, are the most common deductions available to business owners. All the possible deductions should be carefully utilized. Another popular way of reducing the taxes is allocating the money in investment or retirement funds. As much finances should be allocated to these funds, as much is possible. Hiring outsourcing tax preparation services is another option which can be looked at. The outsourcing firms are well known for performing the tax preparation functions in a professional manner while keeping the time constraints in mind. They will also ensure that all the possible deductions are availed. This will also help in taking the mind off the tax preparation process and concentrating on more significant tasks. Previous Previous post: Have You Ever Considered How Finance and Accounting Outsourcing Can be Beneficial for You? Next Next post: What Happens When a Taxpayer Do Not File Taxes?